Looking for a USED M50? 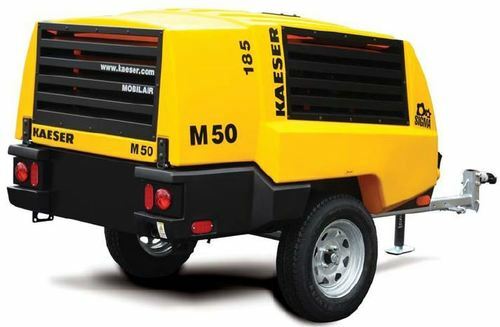 Kaeser's Mobilair line of portable compressors are designed and built for rugged use and dependable performance. These portable compressors provide a reliable source of compressed air for construction sites and other industry applications such as demolition, sand blasting, sprinkler irrigation and monument engraving. A wide range of tow behind air compressor models and accessories are available to suit virtually any need. Looking to Purchase a New KAESER M50?